Taking color to the next step … color consultations by email? Both color schemes are beautiful but one is clearly a warmer scheme and the other a cooler color scheme. How will we really know which one is best? That is where 20 years of field experience and all the certifications and degrees in Interior Decorating and Design come in. Hiring a professional and experienced Color Specialist to choose color for your home is really the best choice! And now, you have the option to do it all from the convenience of your home! Like I said, I have been thinking about this since last November and decided to try it out. How fun would it be to choose a color scheme for someone through the internet? I know there are many sites that already offer this feature but is it possible to satisfy the client without the interaction of the hand shake and the visual of the paint fan decks popping out of my briefcase along with the basic one-on-one visual with the client? I’ve had a few clients already asking me about it and now I won’t have to turn them down if they are out of my radius. The longer I have to drive to an appointment, the more I have to charge for the consultation service. I try to be as affordable as possible and now there is another option to do so! This my friends, is going to be the upcoming way to color consult! Don’t get me wrong, of course it will proceed as usual with the traditional house consultations but now there will be a new, exciting, innovative and oh so convenient way to choose color for you as well! From choosing the right deck stain to selecting the right awning fabric for your home. It’s small decisions but very crucial to making your home look it’s best! Have any questions? You can email me with any questions or please visit my website and see how I can choose color for your home. Decorating by Donna … choosing the RIGHT colors for you! 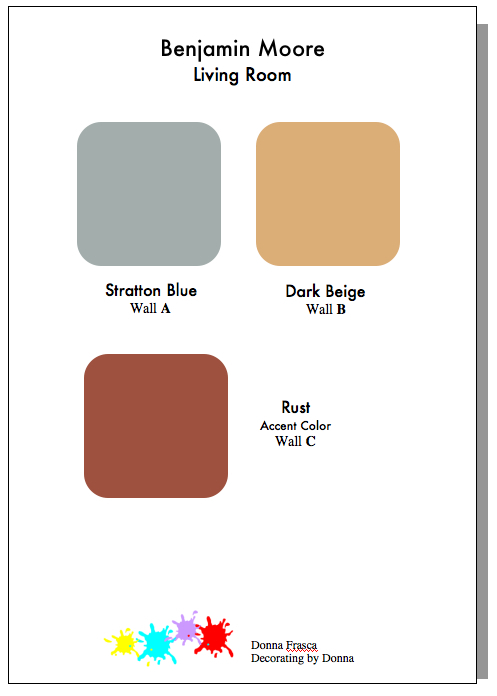 This entry was posted in Sherwin Williams and tagged design board, virtual color. Bookmark the permalink.